We are based in the South East of the Netherlands. 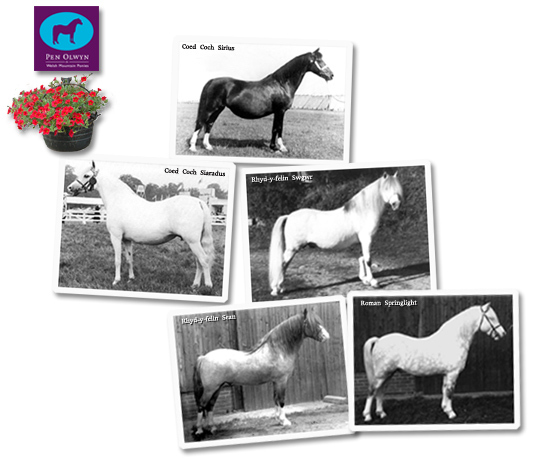 Around 1990 I started breeding and nowadays with the rest of my family we have stallions and brood mares. Interest in Welsh Mountains was allready there as a little boy, but got seriously in 1970 when I met mr. Martien Schepens, who travelled Welsh pony stallions. I spent every free moment there and learned all about the Welsh and working with stallions. He had the top class Rhyd-y-felin bred ponies, hence all our ponies are based on Rhyd-y-felin lines. We try to get close to Coed Coch Sirius through Rhyd-y-felin Swgwr, Syndod and Coed Coch Siaradus, to achieve breeding success in future we want to go back as far in time as possible.